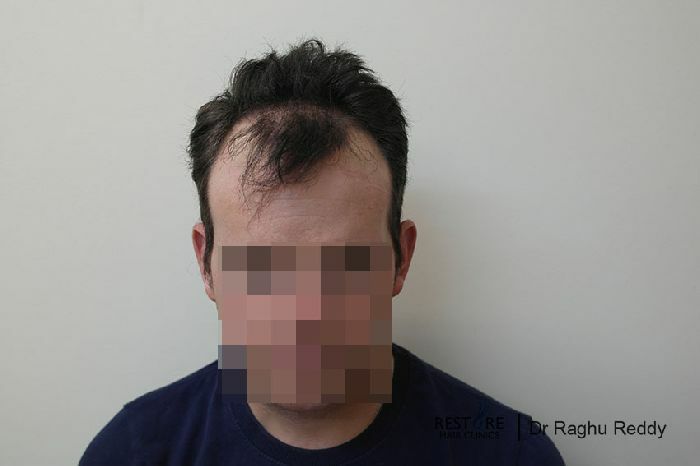 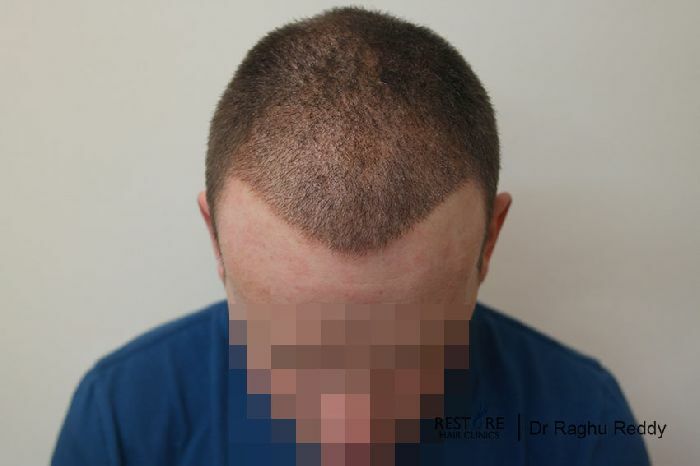 34 year old male with a 6 year history of hairloss presented to us requesting to lower his hairline. 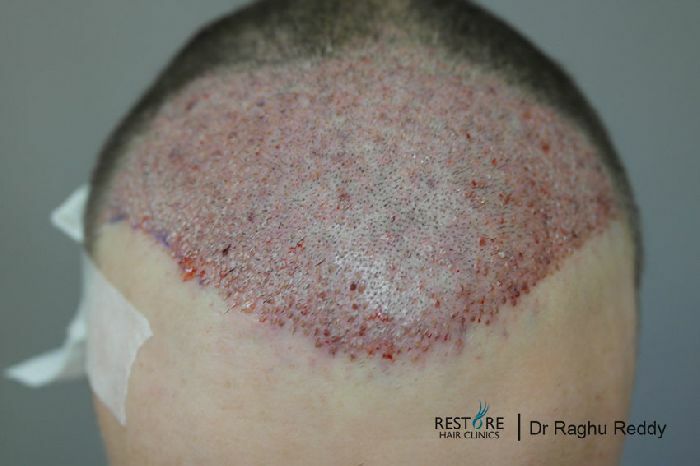 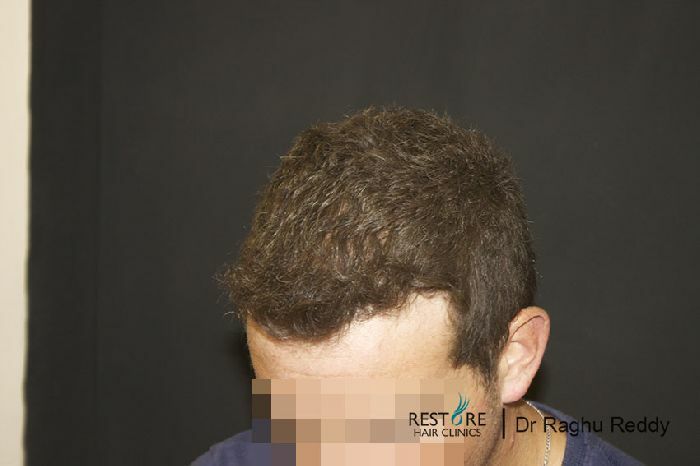 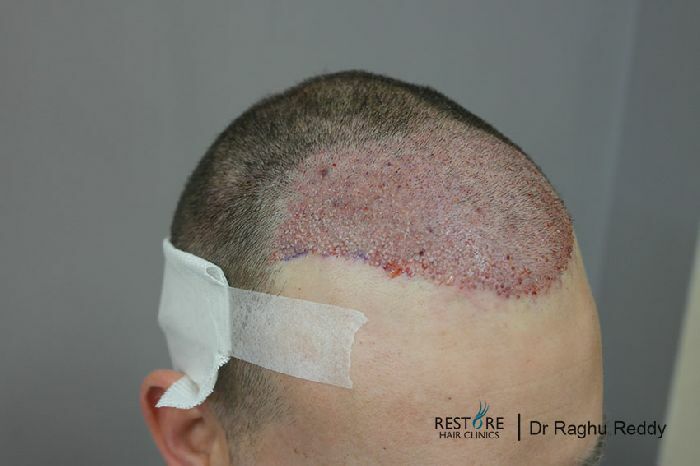 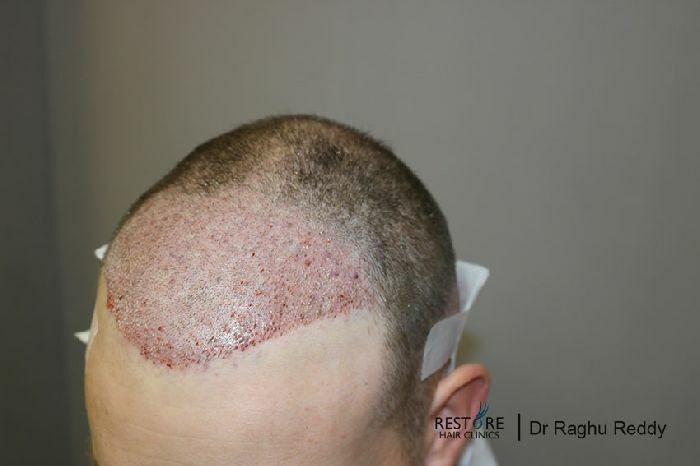 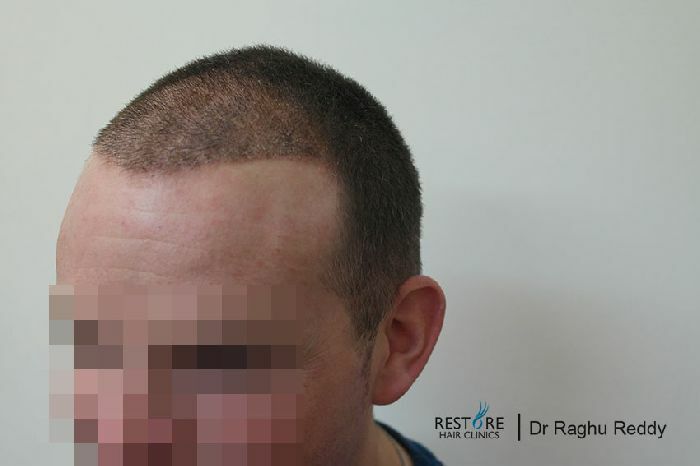 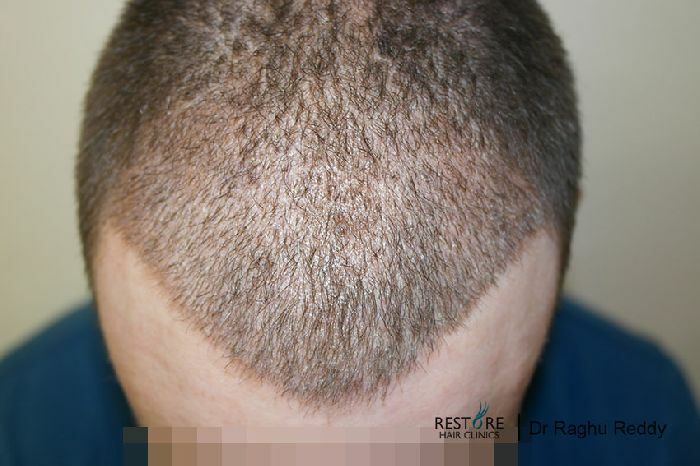 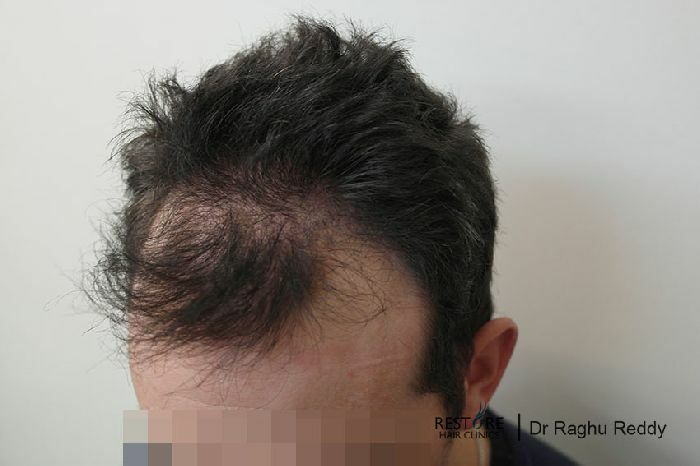 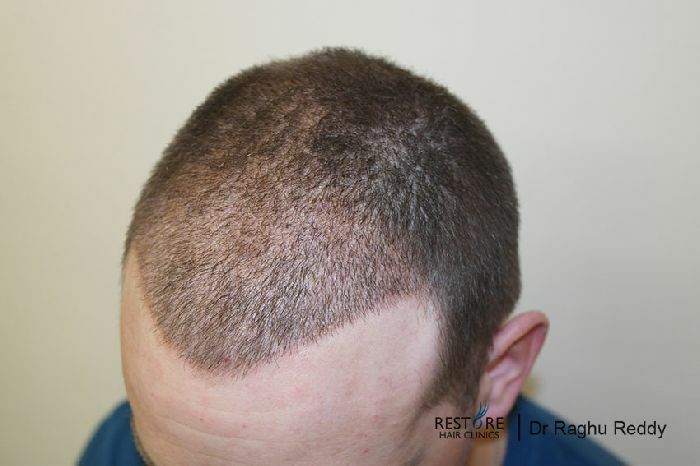 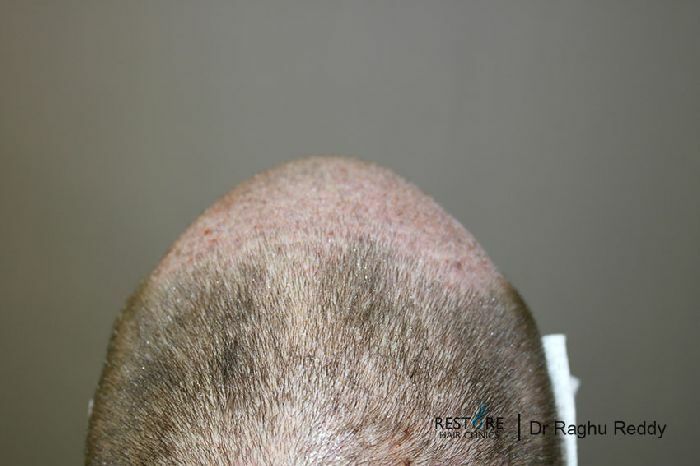 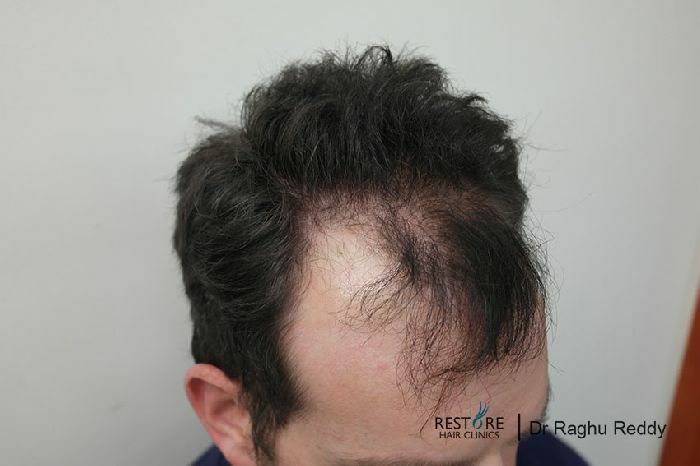 His hairloss was stabilised with Propecia & following extensive counselling, he opted to undergo an Fue procedure with Dr Reddy. 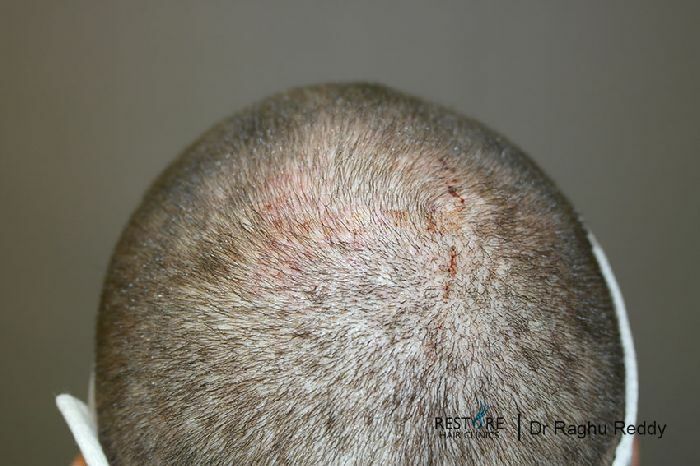 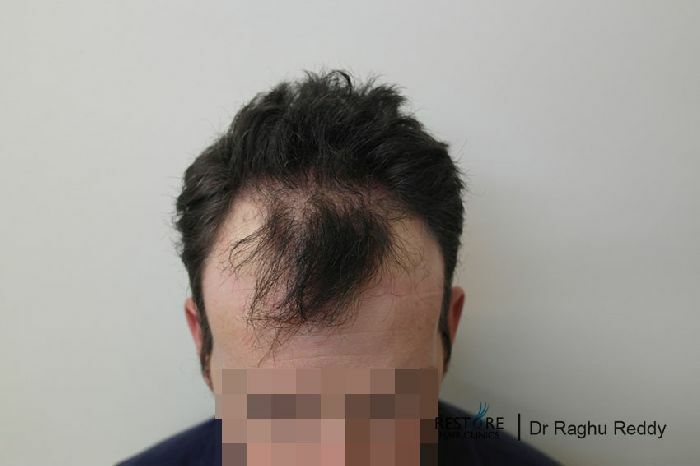 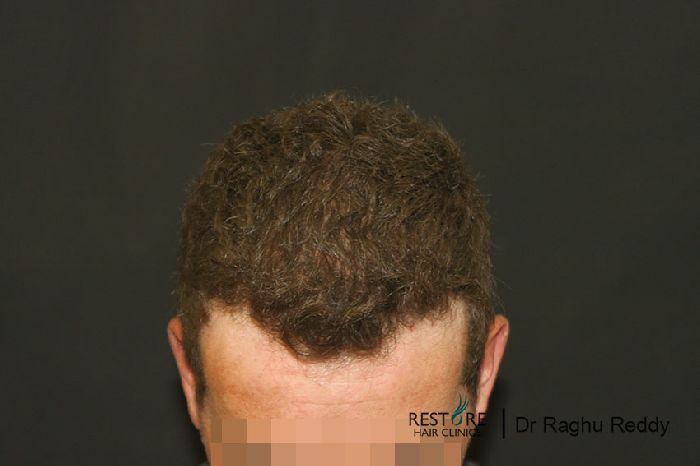 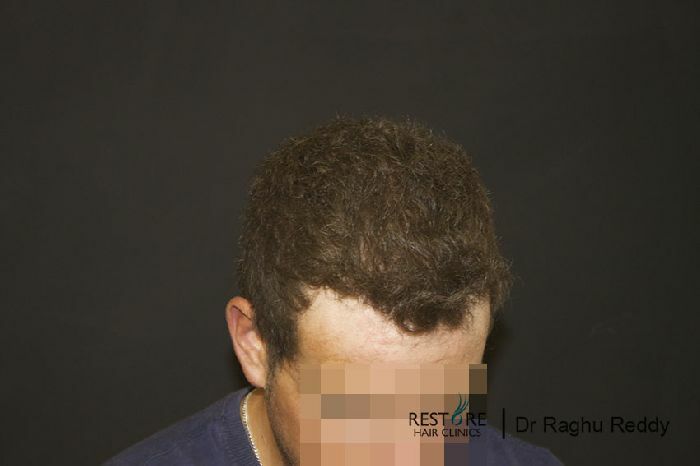 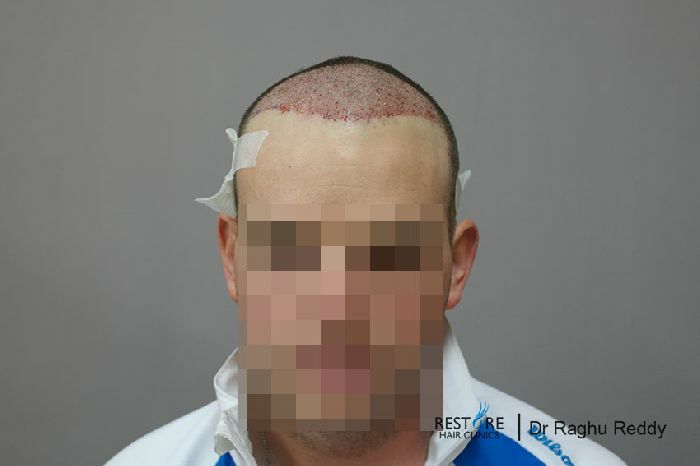 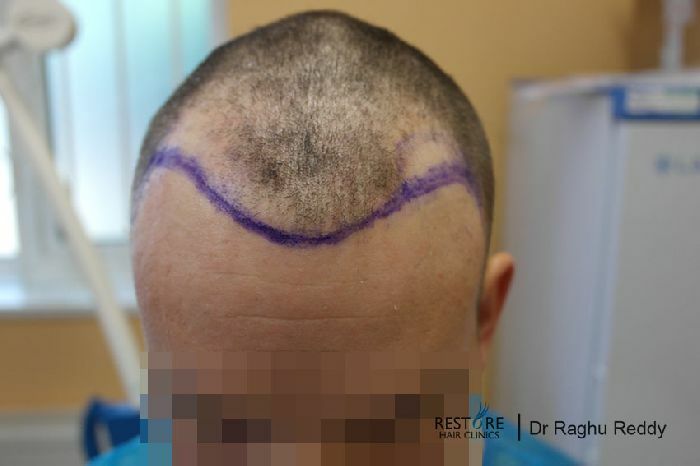 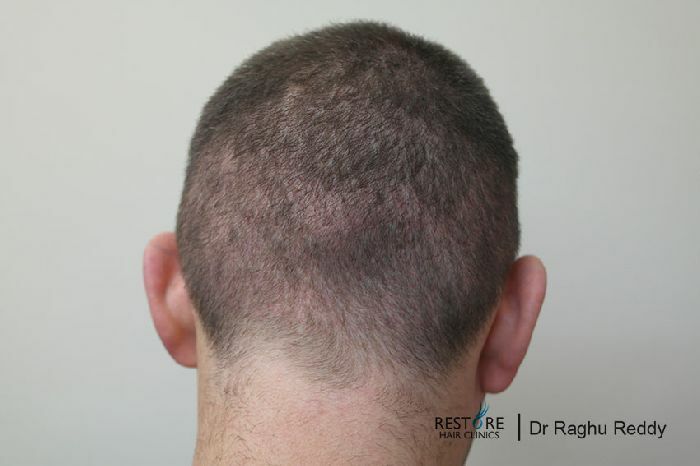 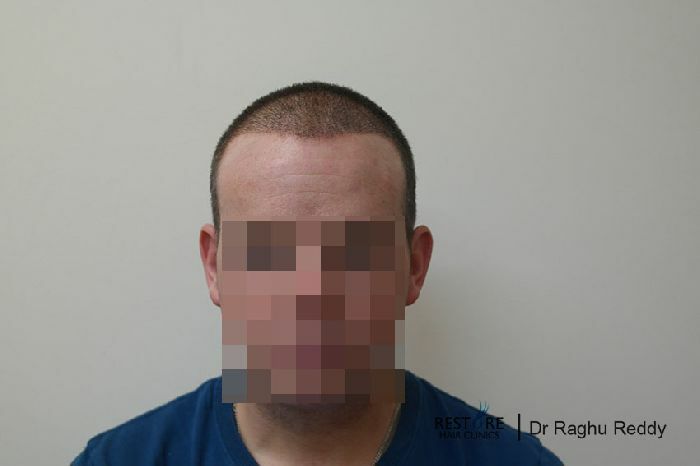 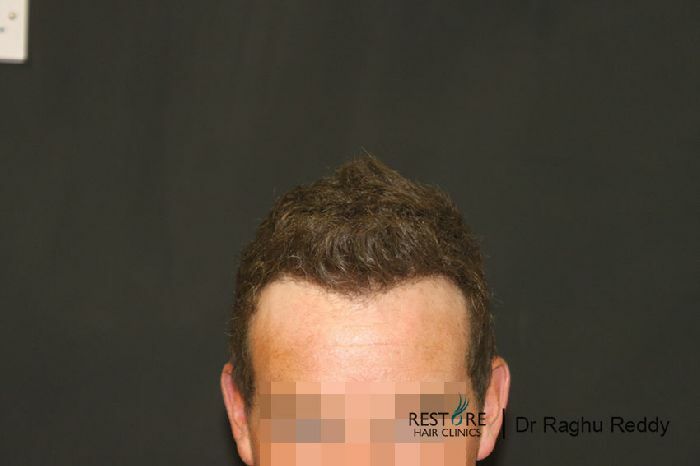 2304 grafts were transferred using Fue technique. 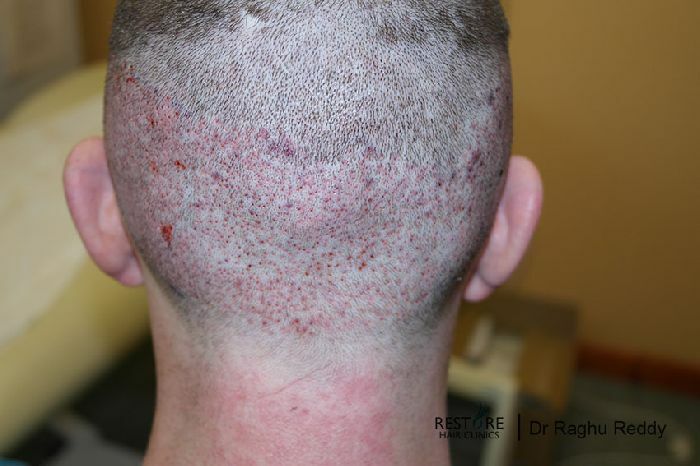 Attached are the pics immediately after, 1 week after & 6 months after.